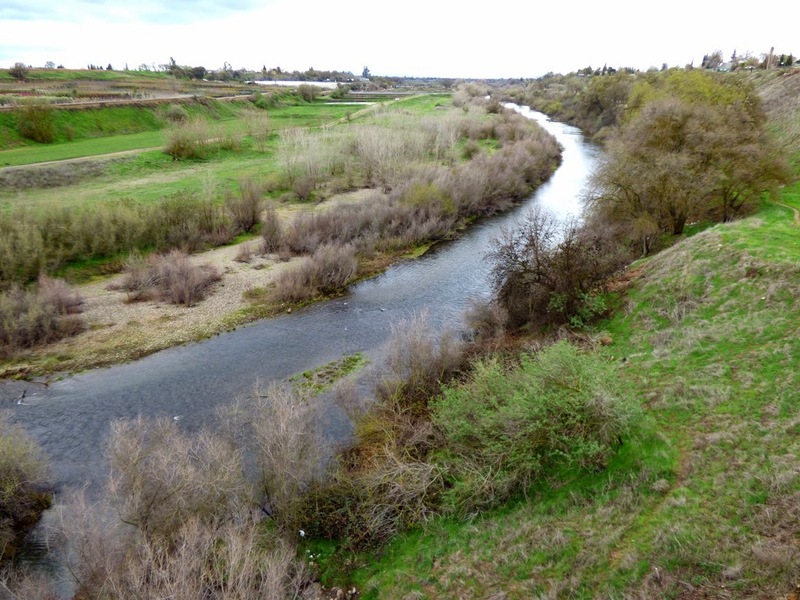 Geotripper: The Riparian Habitat is Nearly Gone? Aren't There Still Rivers in the Great Valley? The Riparian Habitat is Nearly Gone? Aren't There Still Rivers in the Great Valley? 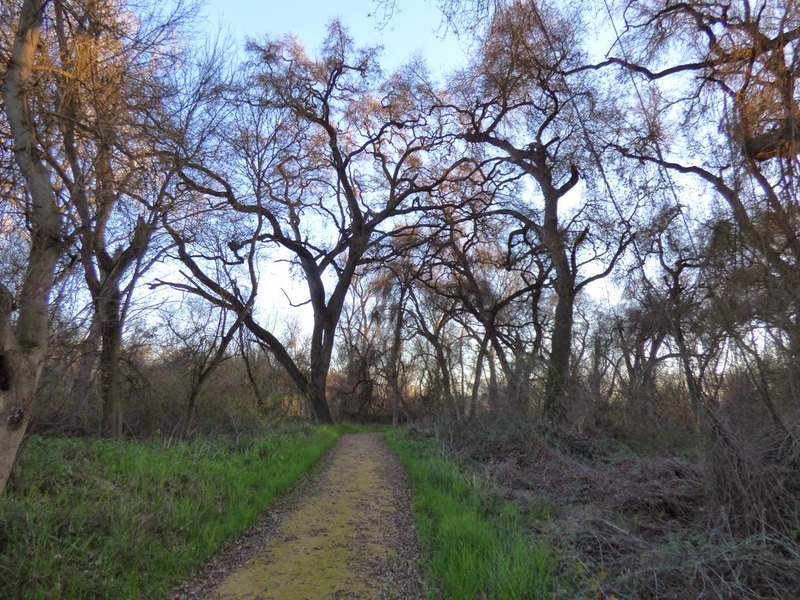 In my last post I talked about how riparian oak woodlands are one of the most endangered ecosystems in California, and I went on about an exploration of one such woodland at Caswell Memorial State Park. One might think that I was saying there were no more rivers in the Great Valley, and given the horrific drought we've been suffering, that's practically true. But not really. 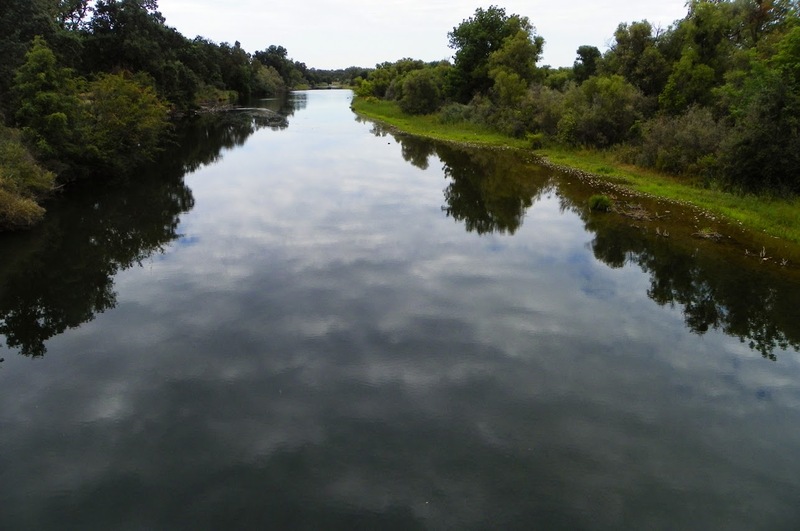 There are still rivers in the Great Valley of California. The rivers have been changed and over-utilized, but they are still here. The problem is with the riparian woodlands that used to surround the rivers. 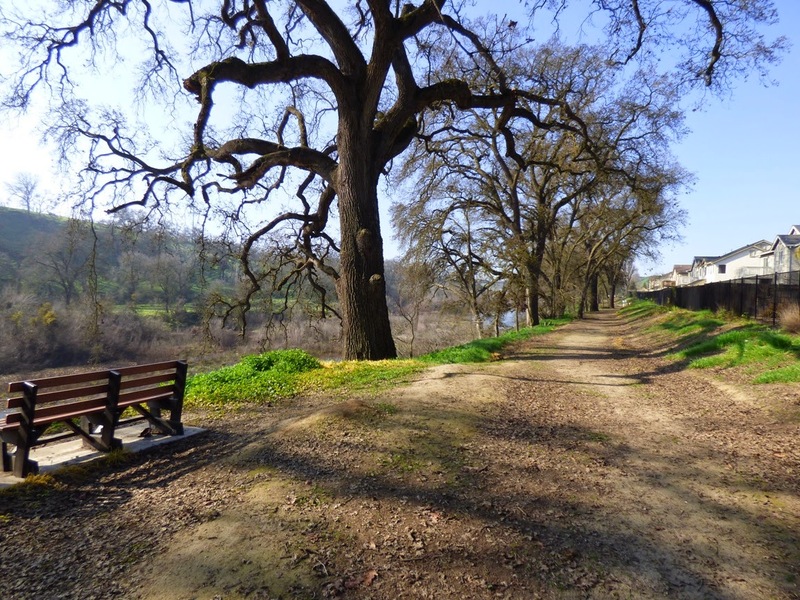 Where there used to be a widespread forest of oak, cottonwood, and willow, there are now farms, pastures, and housing developments that come right to the banks of the rivers. 95% of those forests are gone. 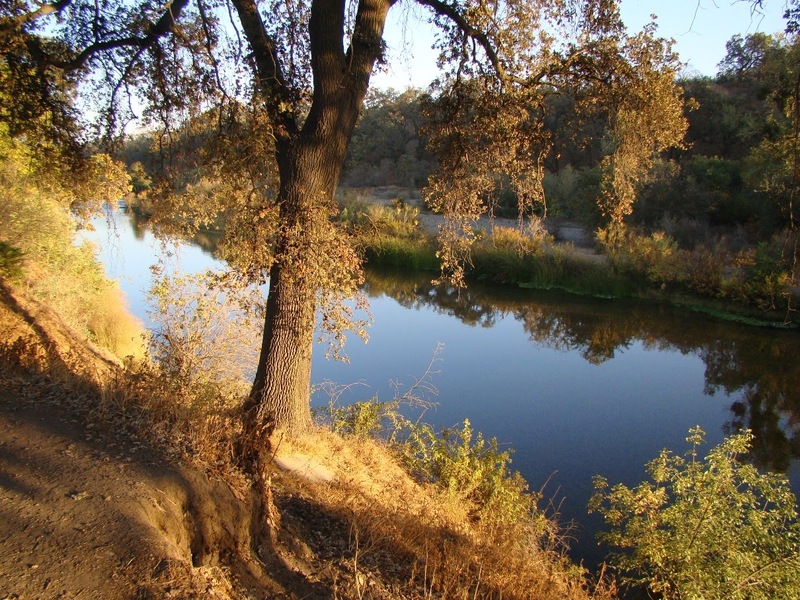 For example, there is the beautiful Tuolumne River that flows through my hometown. At first glance, the river looks like a healthy watercourse lined by a forest of mature, even ancient oak trees. It is, but there is no forest here. There is a narrow strip of trees right along the river that didn't get cut down when they put first the pastures, then the water park, and then the housing development. There is a lovely parkway with benches that I enjoy strolling along whenever I get the chance, but there is practically no underbrush to provide cover for small animals, and feral cats (as cute as they are) make short work of whatever wildlife tries to live here. A forest used to cover the terrace on the right side of the picture above, but it disappeared long ago as the town was established. 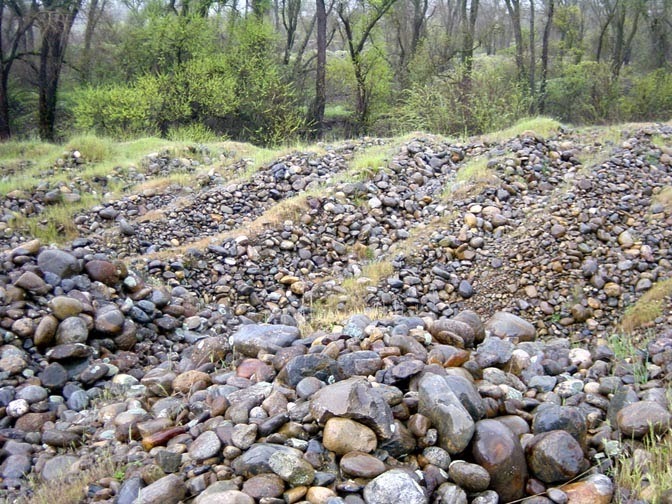 A short distance downstream, a gigantic plant nursery has replaced the oak woodland that once covered the terraces on the left side of the picture above. Hidden on the right side in the narrow strip of trees are the settling ponds of the city's water treatment plant. During the Gold Rush, the situation was catastrophic as far as riparian habitat was concerned. The miners overturned any loose sediment along all the Sierra waterways in their search for the elusive metal that has no real value except as jewelry, coins, and a few high tech uses. Dredge piles cover many square miles of the valley floor, useless for just about anything. In a few places, the river forests are starting to recover from the dredging. A little. In most places, agricultural fields come right up to the river's banks. That's where the healthy soils are, and where the abundant water can be easily utilized. The remaining islands of riparian forests are the refuges for the bit of the valley's original wildlife heritage. In a few precious spots, the forests remain as they were for thousands of years, such as at Caswell (below). 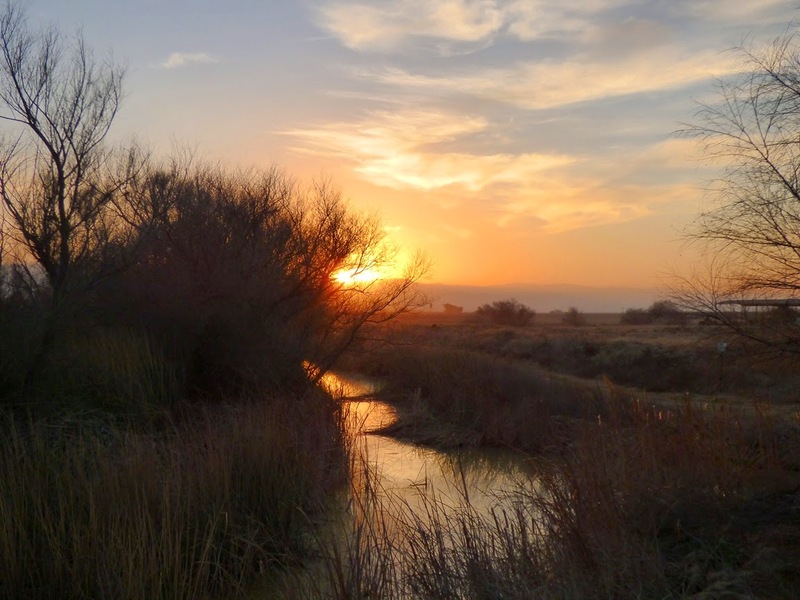 In a few other places, wildlife managers are working to reconstruct the forest habitat, most notably at the San Joaquin River National Wildlife Refuge a few miles west of Modesto. 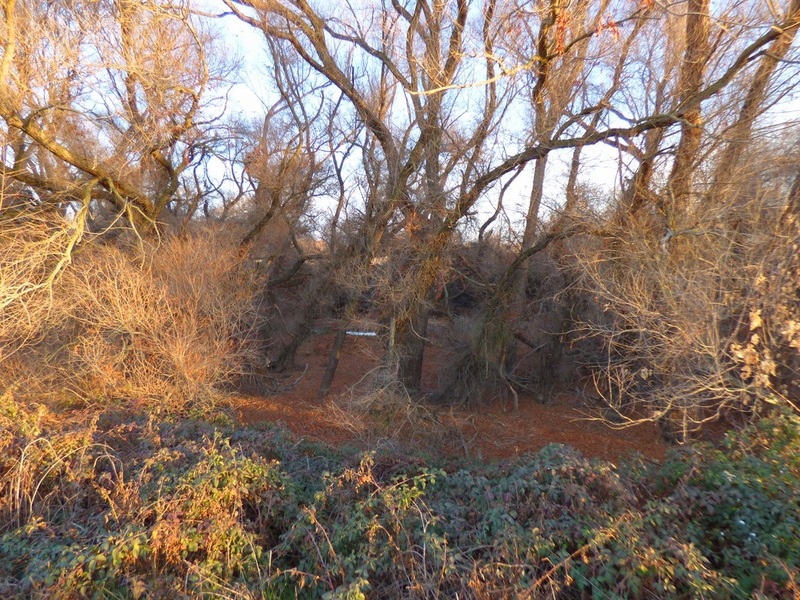 Abandoned and retired farmlands are being planted with hundreds of thousands of trees and non-native invasive species are being removed in an effort to bring back the imperiled species that used to live here in abundance. A balance is possible between our need to grow food and the need for a healthy ecosystem that we are part of. Riparian forests are more than animal refuges, carbon sinks, and water filters. They are outdoor laboratories that can serve to teach us and our children.They provide us with a glimpse of the world that shaped us as a species and as a people. Let alone talk about the damage done by Hydraulic mining which existed for over 30 years in Ca and which was banned in one of the first pro environmental court cases. (1884) I suspect if you looked north of Sacramento you might find that the river banks are far higher than they were in 1849 due to the sediment carried down river by this mining.